Deadly police shootings of unarmed citizens across the U.S. have sparked some of the most fervent national protests in recent years. The outcry has been made even stronger because a majority of the cases involve African-American suspects being chased by police. Pennsylvania law allows officers to use deadly force against a fleeing suspect in only a handful of circumstances. It’s permitted if the suspect poses a threat of immediate danger, has used or threatened lethal violence, or possesses a lethal weapon. Officers found two semi-automatic handguns on the floor of the vehicle but acknowledged that none of the teens, including Antwon, were carrying at the time of the shooting. The guns found in the car should have no bearing on whether the shooting was justified. The facts should only be on the alleged police wrongdoing. Using that analysis, there’s almost no imaginable set of circumstances that would make this shooting anything but a murder. Several questions will surely be raised in the wake of this fatality. The biggest one, perhaps, is why this teen was shot after only running from a vehicle. While running may not have been the best decision, in the eyes of Antwon, it may not have seemed unreasonable. One friend was handcuffed and the other ran. It may have been a panic reaction at the moment. Antwon did not pull a gun on the officer; he didn’t even have one in his possession at the time he ran. The officer was not at risk; how could he be scared for his own life if Antwon was running away from him? Instead of running after the teens, he fired three shots, striking Antwon. How is that justified? There seems to be a “shoot first, ask questions later” mentality. However, the narrative of law enforcement all across the country for shooting unarmed people of color is the same – they had no other choice. Yet, time after time, the evidence shows the contrary. And, what often happens? The guilty officer is placed on paid leave or gets fired. How is that justice? There is no guarantee, nor straightforward way, to relegate racism to the pages of history; we must change the way we think and feel, what we say, and what we do. We can start by expressing our outrage over incidents like these. You don’t have to be black to believe that black lives matter. “Black Lives Matter” does not identify or proclaim the virtues or wrongdoings of any specific social identity. It is an outcry for equal rights – for all people. We cannot casually keep closing our eyes and ears to the fact there’s a group of people whose lives seemingly don’t matter. Mark M. Bello is an attorney, certified civil mediator, and award-winning author of the Zachary Blake Betrayal Series. His pending fourth novel “Betrayal in Black” is a fictional story inspired from a number of cases similar to the one last week. “Betrayal in Black” is tentatively slated for publication early next year. 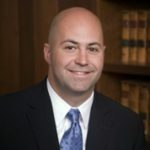 Mark is also the CEO of Lawsuit Financial and the country’s leading expert in providing non-recourse lawsuit funding to plaintiffs involved in pending litigation, a member of the State Bar of Michigan, a sustaining member of the Michigan Association for Justice, and a member of the American Association for Justice.